Michael J. O’Connor & Associates is ready to kick of their next giveaway. 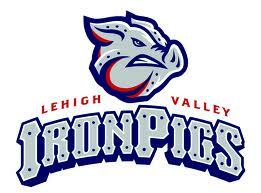 This summer we want to give you the opportunity to send you and 3 others to a Lehigh Valley IronPigs baseball game in August 2013. You can win 4 FREE tickets and $40 of park credit! All you need to do is be the winner of our Cutest Summer Kid Contest. Send a picture of who you think the Cutest Summer Kid is to samanthac@oconnorlaw.com and it will be put on our Facebook page in the album “Cutest Summer Kid Contest.” The person who submits the picture with the most likes at the end of the contest will be the winner of the tickets! You can also send your picture to 608 W. Oak St., Frackville, PA to be entered to win. Submit your picture, “Like” the Michael J. O’Connor & Associates page, and share with your friends to get those votes!